New Yard Map for 2019. 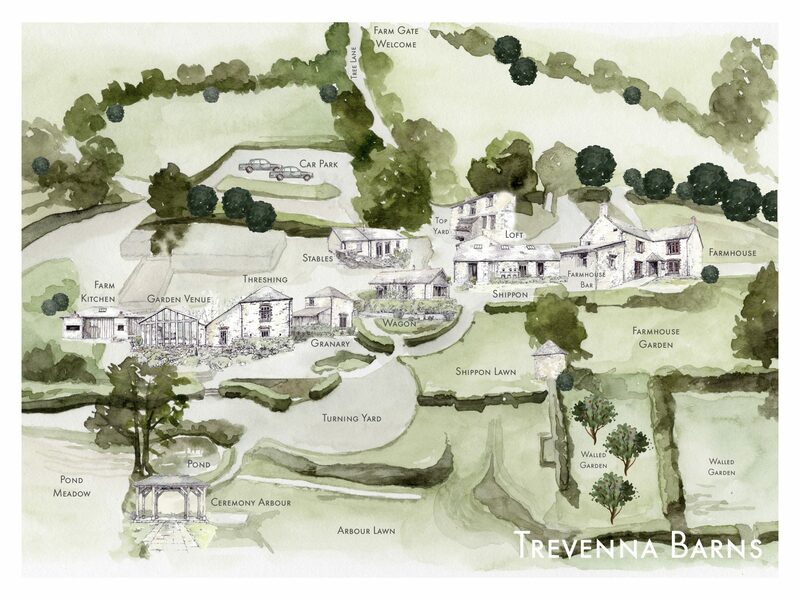 We are delighted with our new Yard Map with hand drawn and painted illustrations of the Barns, Farm House and Garden Venue. Balcony with view over Pond? The delicate details of the stone aisle & wood of the Arbour creates a feeling of anticipation of our all couples who will say their vows here. Enjoy the detailed illustrations as much as we do!